SAFI offers a wide range of manual and actuated valves, strainers and fluid control products for the oil & gas sector. This sector uses many processes that require the use of chemicals and its facilities are often exposed to bad weather and to UV to which the SAFI valves are perfectly resistant thanks to the quality of their thermoplastics and elastomers. SAFI is a brand recognized in the oil & gas sector by many actors such as TOTAL, SHELL, PETRONAS, AGIP, ENI, who have trusted SAFI for decades considering the SAFI product range suitable for their installations. 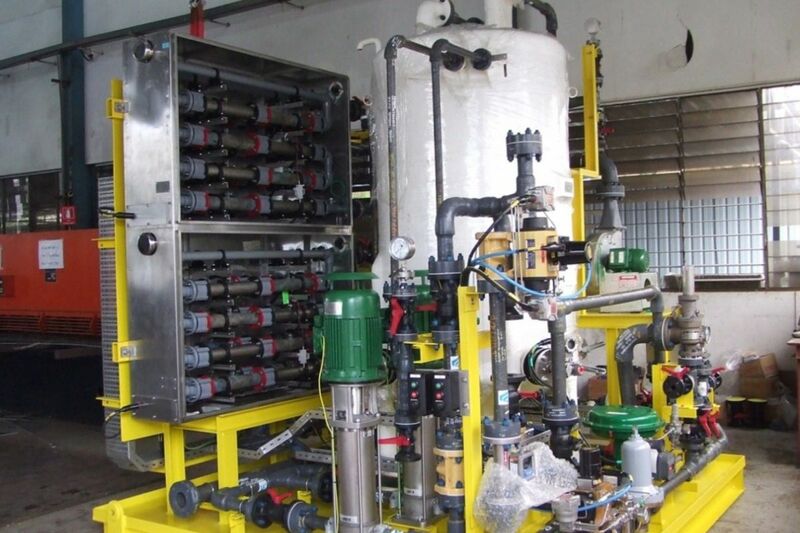 On FPSOs, buildings for oil exploration and exploitation, sea water and brackish water are used to put pressure on oil and are injected into the wells. 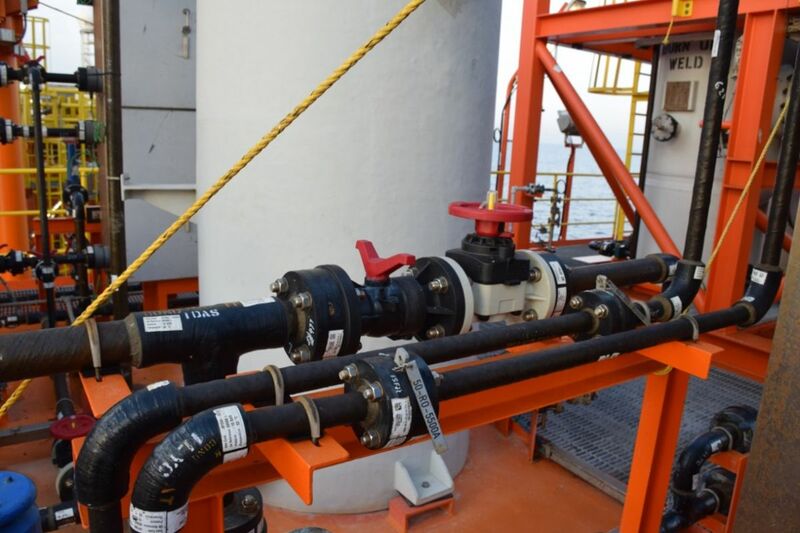 Sea water needs the injection of sodium hypochlorite to avoid the contamination of marine life, the risk of scaling or corrosion in the injection lines. This bleach is normally obtained by electro chlorination on board the FPSO. Thermoplastic valves are particularly popular on applications using sodium hypochlorite because the NaOCL is a powerful oxidant and highly corrosive. The PPH or PPGF are preferred at room temperature and PVDF in temperatures up to 60°C. Past that, sodium hypochlorite begins to decompose. On marine installations, the thermoplastic valves also have the advantage of withstanding external corrosion. The construction of SAFI flanged ball valves adapts particularly well to the oil & gas installations which privileges flange connections.